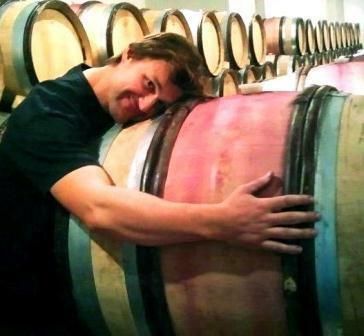 In 1998, Michel's son, Stéphane, joined the family business fresh out of enology school in Beaune. This young and talented go-getter has refined his father's passion for quality by introducing lower yields into their viticultural plan (via de-budding), replanting vineyards, and introducing a négociant arm of the business. Together, they farm 16 hectares in some of the most celebrated vineyards of the appellation's Côte Brune and Côte Blonde, Lancement and Côte Rozier. Stéphane has purchased and replanted new vineyards in some of the highest points of the appellation (Bertholon, Besset, Côte Blond, Montmain, and Champon). In addition, they also produce an elegant Saint-Joseph, a rare Côte du Rhône Village Plan de Dieu, three Syrahs ("L'Ame Soeur", "La Rosine and "Syrah d'Ogier") and a Viognier from the Collines Rhodaniennes, and two stunning cuvées of Condrieu. Stéphane has built his philosophy on two principles: precision and freshness. Interpreting the terroir is not just about conveying the effect of the sun, but also the minerals. He may seek concentration in the vineyards through de-budding, green harvest, and leaf-pulling, but not in the cellars.